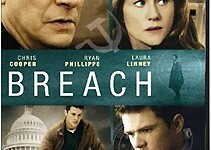 Inspired by true events, "Breach" is a dramatic thriller set inside the halls of the FBI-the gatekeeper of the nation's most sensitive and potentially volatile secrets. When young Eric O'Neill (Phillippe) is promoted out of his low-level surveillance job and into the headquarters of the Federal Bureau of Investigation, his dream of becoming a full-fledged agent is on the verge of becoming reality. Even more impressive, O'Neill is hand picked to work for renowned operative Robert Hanssen (Cooper) within "information assurance," a new division created to protect all classified FBI Intelligence. But O'Neill is quickly confronted with the true reason behind his hire: Hanssen is the sole subject of a long-term, top-secret investigation, a suspected mole made all the more dangerous by the sheer global import of the information he is charged with protecting. The Bureau asks O'Neill to use Hanssen's growing trust and slowly draw the traitor out of deep cover. Engaged in a lethal game of spy-versus-spy without the benefit of a cover story or backup, O'Neill finds himself fighting to bring down Hanssen before the treacherous double-agent can destroy O'Neill, his family and the nation they are both sworn to serve. Following his success with the electrifying and acclaimed "Shattered Glass," writer/director Billy Ray explores more deeply the disillusionment and questionable moral mentorship of a young idealist in "Breach". 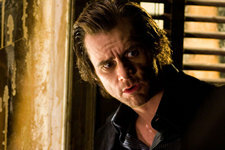 The film is produced by Bobby Newmyer ("Training Day"), Scott Strauss ("Mindhunters") and Scott Kroopf ("The Last Samurai"). Universal Pictures will release the film in North America and Kimmel International will distribute globally. 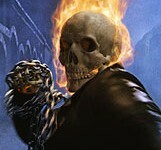 $15.9 Million Opening Day for Ghost Rider ! Sets the new weekend record for Presidents’ Day and Nic Cage!